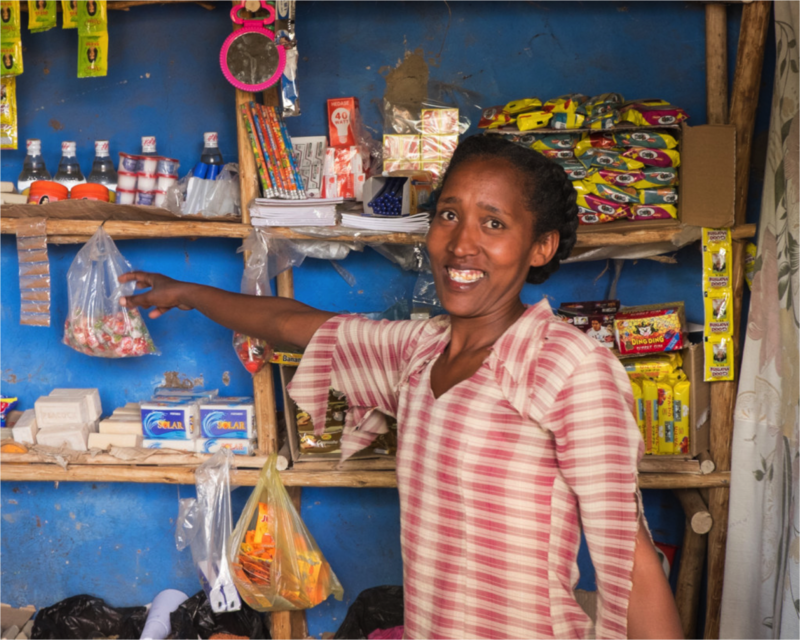 Each year we run a campaign that adds 30 new small businesses to our IGA (Income-Generating Activity) Program in rural Ethiopia. Over the next 4 weeks, we plan to add 30 new businesses in 30 days. We believe that putting these businesses into action will enable 30 Ethiopian families to end their own poverty. Roots Ethiopia has 211 existing IGA’s in rural Ethiopia. It is remarkable! This year, we are excited for you to meet Zinash. Zinash is a true success story. With the help of Roots Ethiopia, she was able to set up a small roadside shop selling injera. Her business became so successful that she has now added small household items to her shop! She was so proud to show us her business when we visited her last December. Her exhausting days of earning only $1/day fixing roads are a thing of the past. Be the first to sponsor a small business in Ethiopia during our 30 businesses in 30 days campaign this year! $325 or $27/month sponsors one coffee shop, market stand, small store, or a bread and tea stand in rural Ethiopia!